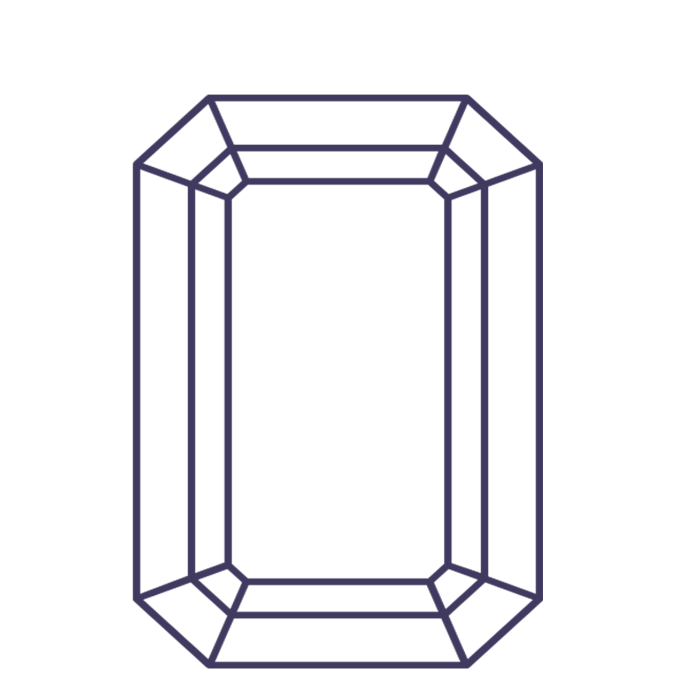 RockHer offers a wide range of diamond shapes to choose from and only carries diamonds with the highest quality grades. Choose your shape: Round, Princess, Emerald, Asscher, Oval, Marquise, Cushion, Radiant, Pear and Heart. Each shape has a distinct style you're sure to love. 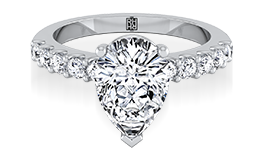 The proportions and symmetry of a diamond are directly linked to the amount of sparkle your diamond will have. 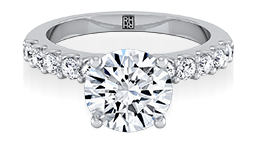 Use Rosi - Our Intelligent Diamond Search to find the diamond that fits your budget and style. 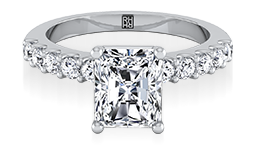 Take into consideration that your chosen diamond shape can completely set the tone and style of your engagement ring. What Shapes are people buying? This is the most popular diamond shape. The round cut has the ability to sparkle boldly. 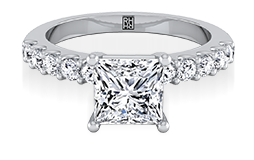 Classic in its design, the princess cut provides sharp symmetry and elegance to any engagement ring. 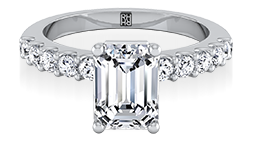 Stylish and grand, the emerald cut is a great choice for both a traditional and modern bride. 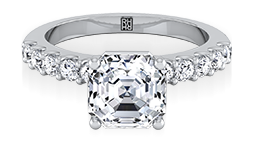 Asscher cut diamonds can act as the centerpiece to a vintage inspired engagement ring. 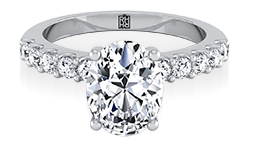 The signature cushion cut with hearts and arrows has been formulated to achieve maximum brilliance and fire. Distinctively romantic, the soft curves of oval cut gemstones add a unique sparkle to this elongated shape. 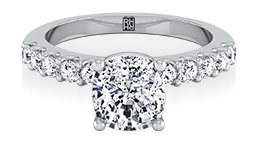 This royal diamond provides a timeless look for those who appreciate tradition and vintage beauty. The radiant cut is one our most intricate shapes and able to emanate a tremendous amount of shine. 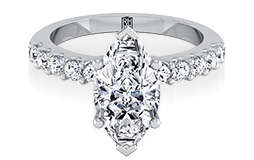 The pear shaped diamond comes in a variety of cuts and has a tapered point on one end.